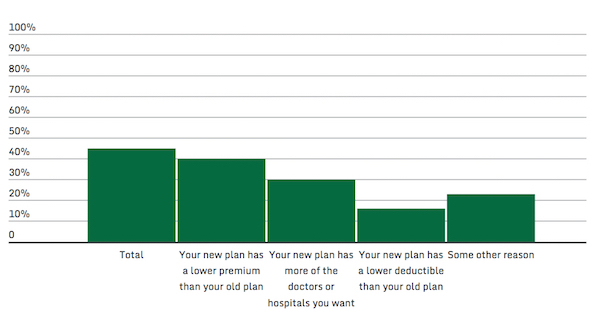 Notes: Adults ages 19–64 who changed marketplace plans. Forty-six percent of adults ages 19–64 who have had marketplace coverage since before January 2016 switched plans since enrolling. Data Source: The Commonwealth Fund Affordable Care Act Tracking Survey, February–April 2016. This entry was posted in Data Watch on July 13, 2016 by Christopher Barbey.